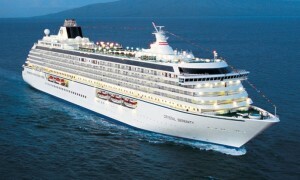 Crystal Cruises luxury ships offer a high ratio of public space for passengers. Their 2003 Serenity carries just over 1000 passengers. 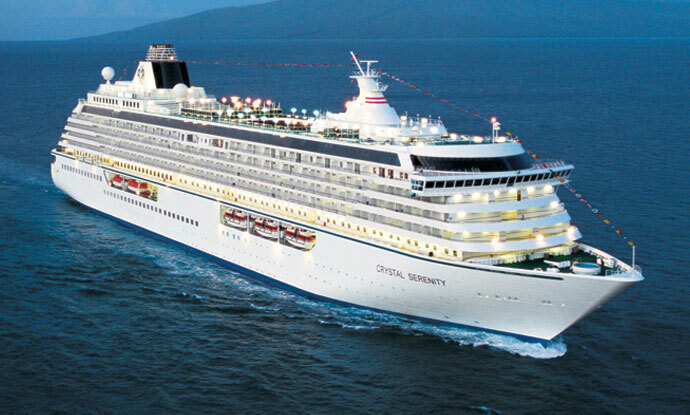 Owned by NYK of Japan, Crystal Cruises operates three ships on an amazing array of world itineraries which feature tailor-made shore excursions to suit individual preferences. This luxury line’s first ship, Crystal Harmony, was launched in 1990 and set the tone with a finely appointed, spacious interior and almost all outside cabins. Officers are Scandinavian and service staff are international.